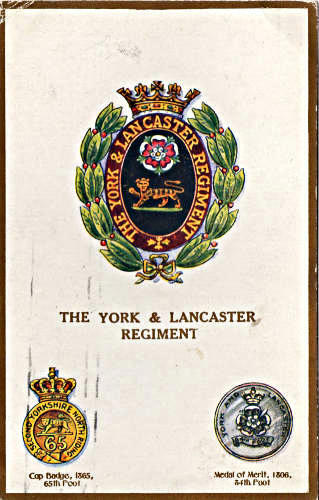 George Sampford is recorded in Canon Procter’s account of Thorley men in the Great War as joining the army on April 19th 1917 and serving as a Private in the 16th Battalion of the York & Lancaster Regiment. 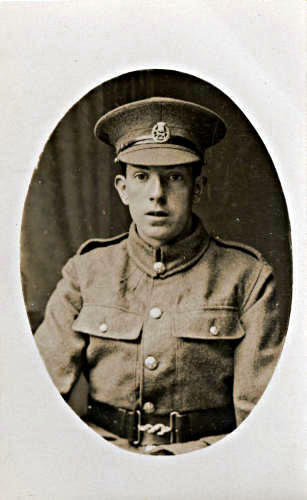 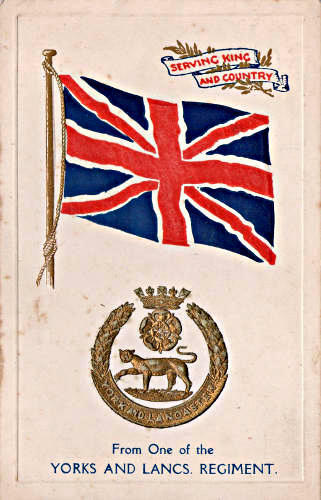 Above is a postcard with a photograph showing George in his military uniform and below two produced by his regiment for the use of serving personnel. 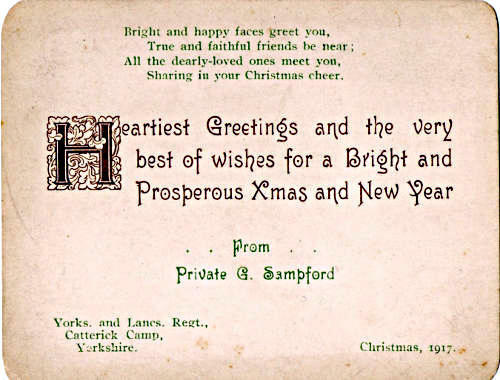 George was at Catterick Camp in Yorkshire during Christmas 1917, from where he sent his printed personal greetings shown opposite.